Reportage or documentary wedding photography is a style that has evolved since the emergence of the digital camera. In essence, it is a natural progression from the traditional type of pictures taken at a wedding where a film photographer would have been severely limited by the number of pictures that he/she could take in a day. After all, there are only so many rolls of film that one could take to a wedding and thus, experimentation with light/angles/subjects would not have been at the top of the list of priorities. With this seemingly limitless number of pictures a documentary wedding photography can take, it is now possible to capture those moments that you’re least expecting to happen, let alone be photographed; those natural wedding pictures that add up to the real story of the day. So it’s not just about getting â€˜faces in a crowdâ€™ but shots that record the emotion and atmosphere of the day. As a documentary wedding photographer it is all about capturing the moment in real time as naturally as possible. A wedding is a unique celebration of love. 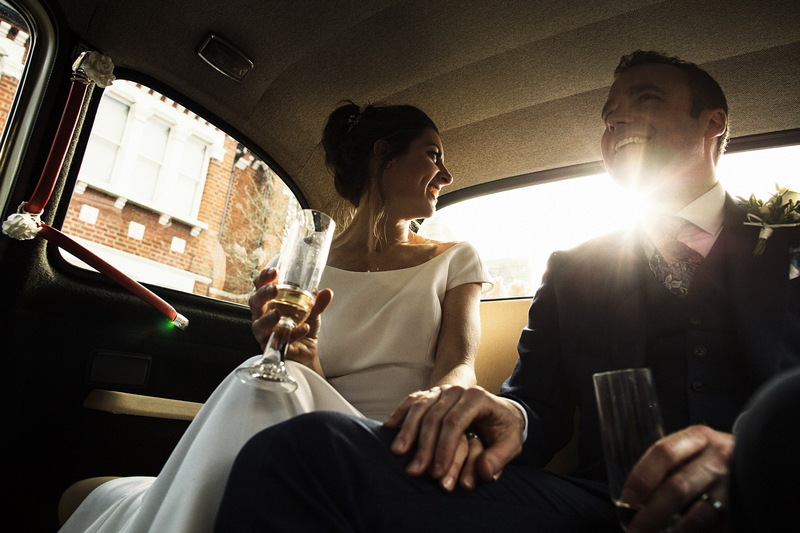 The plans for this special day are usually reserved for the closest of friends and family, so it is an absolute privilege to be asked as a documentary wedding photographer to capture the day as it was seen by those attending. It is not about setting up shots but seeing the unique moments as they appear and capturing the laughter, smiles and tears as they happen on the special day. Iâ€™ve shot weddings all over the UK from Surrey to Scotland, and from Devon to Durham as well as some European destinations: the French Alps and Sweden to name a couple. If youâ€™re planning your wedding in this part of the world (i.e. the UK, Europe, or even beyond!) then Iâ€™d love to chat to you about your amazing plans and how you would like a documentary wedding photographer to capture the day. 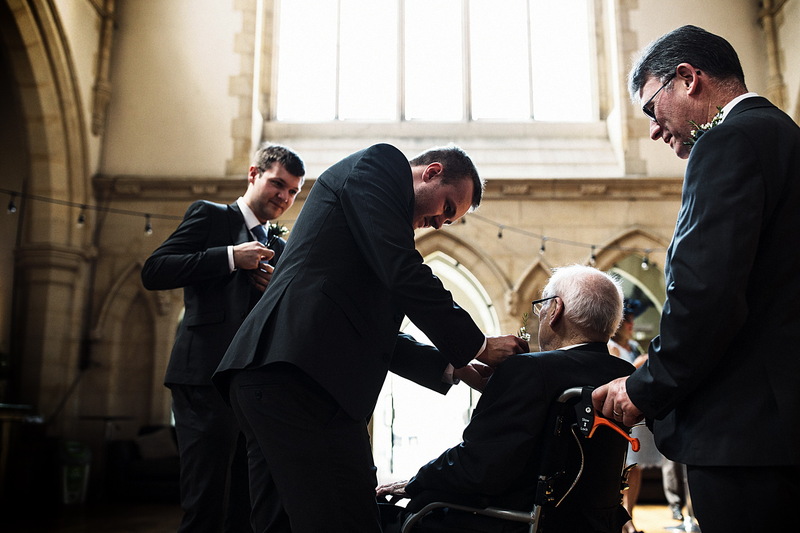 Documentary wedding photography capturing a shared moment between three generations shortly before a church ceremony in Guildford. These instances are the images that tie the story together, those little moments that weren’t necessarily seen or noticed. Having the opportunity of describing more than one storyline in a single frame is what every documentary wedding photographer strives for. In this image, Alex is having the finishing touches applied to her dress whilst her friends are frantically racing to be on time. With that said, the guests hadn’t yet filed in to take their seats downstairs for the ceremony. 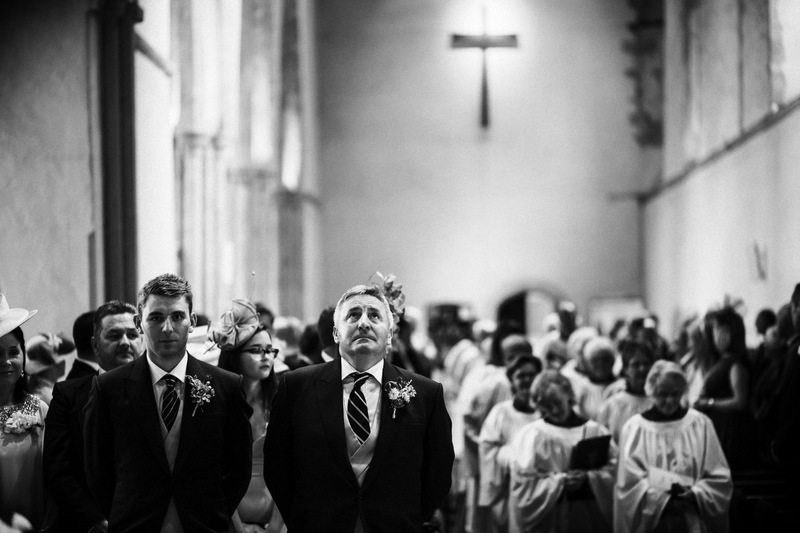 Documentary wedding photography capturing father and son. The son was actually his father’s Best Man and this was the moment they had all been waiting for, and clearly emotions had finally got the better of the Groom. A beautiful moment of anticipation and reflection. 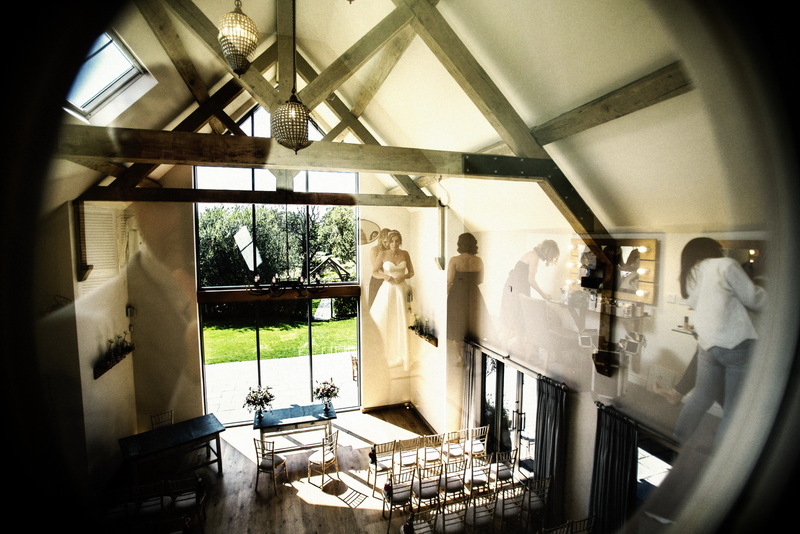 As a documentary wedding photographer getting those fly on the wall shots is very gratifying. Not least when you’re in a London taxi together and they’re oblivious that you’re even taking pictures in the first place! To find out more contact me by email or give me a call on 01252 835981.